Can the design of a public place help people from different walks of life connect? Over the last two months, my colleagues at Gehl Studio and I have asked hundreds of people in San Jose to describe their favorite places. Not just strictly public places, but malls and churches, dive bars and street cafes, corner stores and markets. Most of them are not designed specifically to encourage different people to mix, though most of them do. 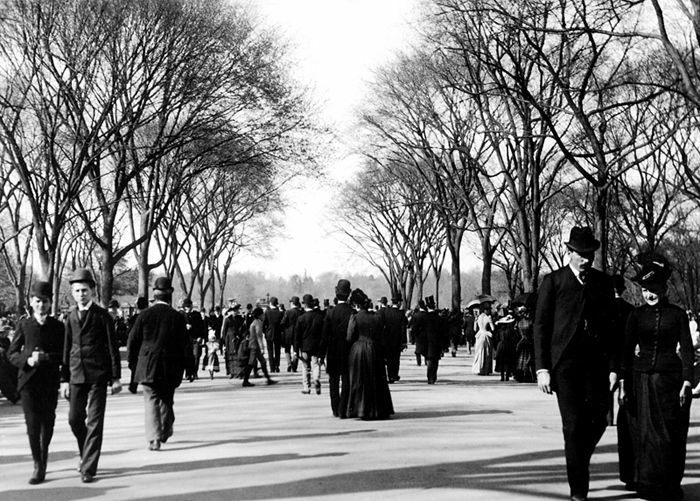 Since Frederick Law Olmsted declared in 1870 that his newly-opened Central Park “exercises a distinctly harmonizing and refining … influence favorable to courtesy, self-control, and temperance,” the design of civic space has been intertwined with progressivism that can, at times, border on social engineering. Designers ever since have wrestled with crafting public spaces that invite diverse groups to mingle while communicating codes of behavior that aim to minimize social friction. It’s those codes that are the tricky part. Olmsted observed that the visitors to his new park were “school-girl daughters,” “country people,” “gentleman,” “visitors” from out of town, even “ruffians” — in short, almost sort of person in New York City. My colleagues Eric Scharnhorst and Anna Muessig has recently prototyped intriguing new tools that decode today’s digital signatures into profiles of diversity in public space. But even this data-rich portrait of the diversity in public spaces doesn’t tell us whether the gentleman and the ruffian trade pleasantries and if they do, whether it knits them more closely or reinforces existing boundaries. I am a designer, and for most of my career I’ve been fascinated by what physical environments do to set up human interaction. Design is often over-burdened with social and political agendas — and usually disappoints as a way of achieving them. Still, I believe that urbanists can do better to understand not what design makes happen but what design makes possible. A city where people of any background can co-occupy places and affect each other’s experience is, to me, at the heart of civic life. Do strangers need to talk? Not necessarily. But a range of interactions should be comfortable and not uncommon among people from different walks of life for the city to earn its status as humankind’s prevailing habitat. My own theory of mixing is, so far, based on stories from people I know who tend to meet people in public. It’s mostly hunches, but ones that could be tested with data. This “mechanics of mixing” breaks down into two distinct but related phenomena. First is the type of connection that can develop between people in public. The second is the quality of the space where that interaction takes place. Interactions between people who don’t know each other span a spectrum of increasing reciprocity, and the level of connection has something to do with the spatial qualities of the place that set up the interaction in the first place. 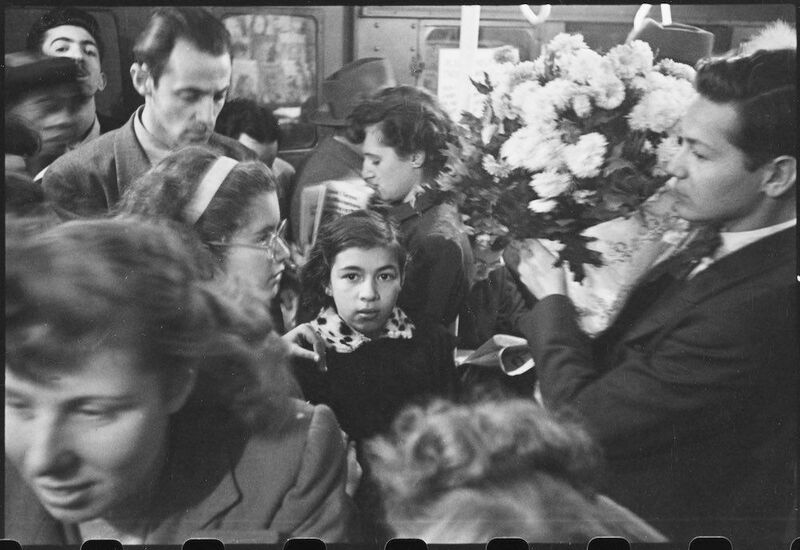 At the low end of the spectrum, imagine a New York City subway car like the one photographed here by a young Stanley Kubrick. Patrons eye each other, exchange a few words, but generally exhibit what Erving Goffman called “civil inattention”, a low level of social connection that could also just be called tolerance. However, there is evidence to support the idea that simply encountering difference leads people to become more tolerant of it, known as contact hypothesis. For a slightly more engaged connection ride the BART from San Francisco to Oakland today. 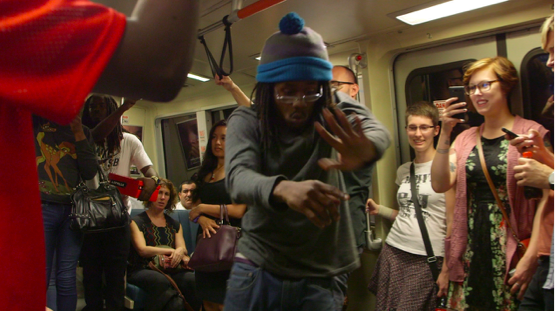 Turfing (“taking up room on the floor”) is an Oakland-based hip hop dance where performers use the train car’s handholds to flip and spin, inviting commuters to break away from their cellphones (or at least to start recording on them). This direct engagement, often across class and culture lines, is noted for creating appreciation of the performance that temporarily binds strangers together, lifting the mood and creating conversation in otherwise silent cars. A catalyst like commerce can spark it, but a true exchange may need several of the spatial qualities in the next section to get started. It is also possible to build up to a moment of exchange through repeated habits of tolerance and appreciation (imagine waving to a neighbor daily until one of you stops and says hello). In San Jose, many residents we surveyed reported this taking place spontaneously in social places like the San Pedro Square Market and Jackson Street in Japantown where the pace is slow and the spaces full of people sitting or strolling. 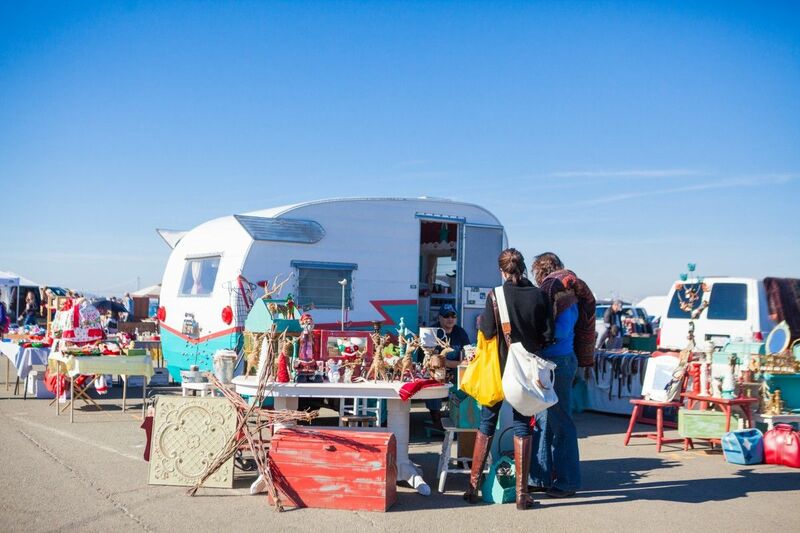 Flea markets are also a prototypical site for social exchange between buyers and sellers. A watershed is crossed when people agree to reconnect on their own terms, outside of the happenstance of a mixing space. It often takes place at physical thresholds between public and private spaces: lobbies and entrances, beginnings and ends of events. Even though the act may be as low risk as exchanging emails, it extends the connection, however tentatively, into the future. 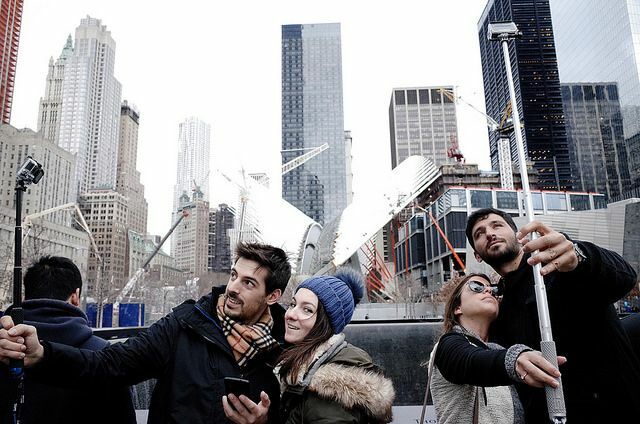 The selfie stick has removed one reason to interact with strangers. But the success of real social bonds finally depends on many actions outside the initial meeting, moving towards greater reciprocity between people. Jane Jacobs described neighbors communally looking out for each other’s children. Pickup at the local basketball court builds bonds between the players that outlast the game. It’s likely that most connections that reach this level are between neighbors or people who have routines or interests in common. Whatever form it takes, these habits of meeting build trust over time. These are some of the ways people mix in space. But in what type of space would you talk to a stranger? Assuming that the demographics and social context provide diverse groups access to a space (we have some new tools to assess where this is already happening), what qualities of a space make higher levels of mixing possible? Cues that are explicit (regulations, security personnel and the messages in signs) and implicit (invitations for various uses or users like benches for seniors or play equipment for kids) give permission for a diversity of users to stay. Similarly, a clear sense of territory creates a safe space for observing others and interacting more comfortably. 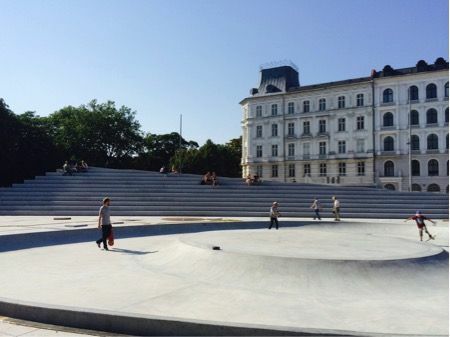 Copenhagen’s recently renovated Israels Plads has well defined skateboard terrain, basketball courts, play areas, seating and cafes all within range for mutual observation. An artificial closeness or “compression” of personal space helps overcome the bubble of privacy. While the right amount of compression to kindle an interaction between strangers differs between places and cultures, a little of it seems to help create opportunities to interact without the need to make an uncomfortable overture. Respondents to our surveys in San Jose ranked feelings of relaxation and safety most highly in places they also feel most social. Besides basic requirements like good lighting and “eyes on the street”, comfortable spaces seem to also have an important feature: an exit strategy. The exit strategy can be a physical exit, or graceful social one. The Alameda Flea Market provides an ideal amount of compression and exit strategy, since moving between stalls is an acceptable way to leave an interaction. The ability to catch one another’s attention is also critical to even in the most casual engagement. Advertising and technology increasingly compete with the people directly around us for this scarce commodity. If all these previous conditions set up the potential for a social interaction, there still must be an excuse for it to take place. Triangulation provides the momentary connection between two new people, the “glue” that causes the interaction to stick long enough to possibly set. In our surveys, people gave myriad reasons for meeting new people, from musical events to children playing and pets running, and — frequently — friendly baristas. Triangulation can even be sent in the form of a postcard, as illustrated in the work of artist Hunter Franks. We should be interested in how strangers meet in public because we aren’t connecting across class and culture in very many other places. Peer-to-peer and e-commerce has made it much easier to connect with culturally similar, albeit unfamiliar, people to meet basic needs without connecting with people who are physically closer though further away economically or culturally. In our increasingly digital, culturally sorted, spatially segregated and economically unequal society, public spaces still perform that basic function of collapsing difference through proximity — whether at the civic or neighborhood scale — better than anything else humans have come up with. 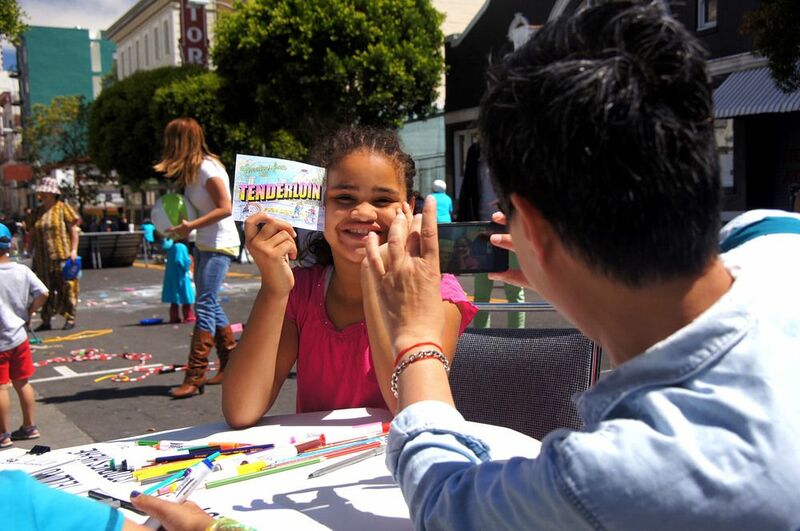 Today and tomorrow, the Market Street Prototyping Festival is testing 50 placemaking projects along two miles of San Francisco’s most prominent thoroughfare. Market Street unites seven of the city’s diverse neighborhoods, from the Tenderloin to the Financial District. The majority of these crowd-sourced designs aim to encourage social interaction. While these projects can’t on their own overcome the economic and political forces that sort urban populations, they create a temporary site for countervailing experience. And with a better understanding of the mechanics of mixing, cities can focus investment in places like Market Street that are already primed to engage diverse groups. Will it make society more integrated? Probably not: but better mixing spaces can provide an opportunity that is increasingly hard to come by — people from different walks of life, meeting comfortably, in public. Blaine is an urban designer inspired by the challenge of making cities that support human happiness, equity, health and connectedness. As Head of Team at Gehl Studio San Francisco, he directs fine-grained, catalytic projects that steer cities and organizations towards sustainability, creativity and long-term value creation. Blaine is a seasoned listener and facilitator, engaging communities, governments, developers, academics and cultural institutions in cross-disciplinary collaboration. He comes to Gehl from leading Rebar Art and Design Studio and is a lecturer at the University of California Berkeley College of Environmental Design, where he earned his masters degree.